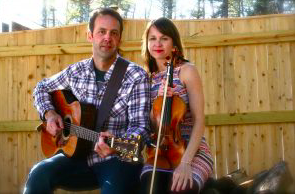 Sparrow Blue is a fiddle and acoustic guitar duo from southeastern Massachusetts, playing American folk, roots and classic country music. Featuring Todd Nickerson (of the band 6 East) on guitar and vocals and Katy Boc (of The Jones River Band) on fiddle and vocals. The duo has been playing around on the south shore and Cape for a while now but only recently released their first album. The record is called “Mabel” and melds together the influences of both Boc and Nickerson into one, sweet, rootsy sound that is clean and crisp and displays hints of Americana goodness. Complimentary refreshments.